Another one of the NPS-managed site that is located off mainland USA is in American Samoa. 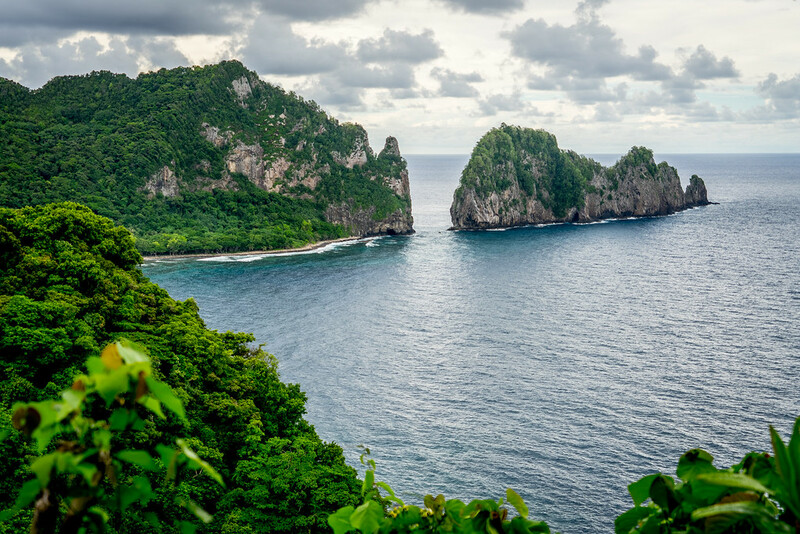 As one of the national park service sites in American Samoa, the National Park of American Samoa is one of the most visited tourist attractions in the region. This park is one of the national park service sites in American Samoa and is managed by the US National Park Service. It is located in the US Territory of American Samoa and encompasses three different islands: Ta’u, Tutuila, and Ofu. The park was established to protect the tropical rainforests, coral reef systems, fruit bats, and the Samoan culture evident within the area. The park is visited by approximately 29,000 tourists per year who are into snorkeling and hiking – the two most popular recreational activities in the park. The park is also valued for its geologic history. The volcanic islands form the majority of the total acreage within the park. The entire park measures at 13,500 acres in area 9,000 acres consist of land and the remaining 4,500 acres consist of the ocean and coral reefs. Aside from being the solitary unit of the national park service sites in American Samoa, it is also the only one managed by the US NPS that is located south of the equator. During the 2009 earthquake and tsunami in American Samoa, it damaged several areas of the park. Both the main office and the visitor center were destroyed. The rising ocean temperatures and carbon dioxide concentration in the water is threatening the preservation of the coral reef systems in the park. Both of these concerns combine to heighten the level of preservation in order to protect the current state of the park for future generations.